The Haywain, Steppes Farm Cottages01600 775424work01600 715257fax Self-cateringA lovely cottage with an open-plan lounge and dining room and large inglenook fireplace; kitchen area in oak. 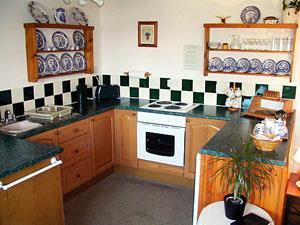 A lovely cottage with an open-plan lounge and dining room and large inglenook fireplace; kitchen area in oak. A ground floor double bedroom furnished in mahogany, and ground floor bathroom with white suite. A second bedroom with twin beds is on the first floor.